A new study reveals that the human brain has the ability to sense the magnetic field. For their study, 34 participants have electrical activity in the brain registered with electroencephalography (EEG), while sitting in a chamber with a built-in character equipped with coils and wires. The research team, led by geo-biologist Joseph Kirchwink (BS, MS & # 39; 75) and neuroscientist Shin Shimyo in Caltech, as well as neuro-engineer Ayu Matani at the University of Tokyo, suggest evidence that there is a new human feeling called magnetoreception. On the surface of the planet, this magnetic field is fairly weak, about 100 times weaker than that of the fridge magnet. However, this does not mean that your body still does not feel the geomagnetic forces, and a new study suggests that people, like many other animals, can really sense the magnetic field. Three orthogonal squares of square coils, called Merit Snakes, allowed researchers to control the ambient magnetic fields around the head of the participant. Magnetoreception is common in many animals, but humans have never been shown to demonstrate this ability to date. 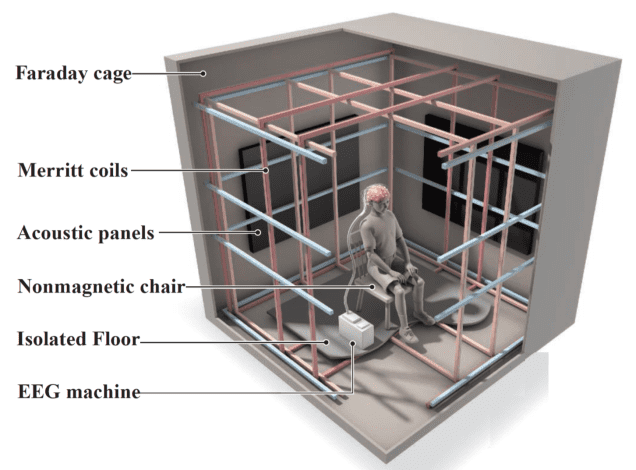 During carefully monitored experiments, the participants sat upright in a chair with heads placed near the center of the magnetic field, while EEG data were collected from 64 electrodes. This allowed scientists to see exactly how the brain of volunteers reacted to changes in the magnetic field without any external influence. "In our experiment, alpha-ERD shows that the human brain can detect magnetic fields on the Earth, showing that we have a sensory system that processes the geomagnetic field all around us," the authors said. "The brain was" concerned "with the unexpected change in the direction of the magnetic field, which caused a decrease in the alpha wave." This intriguing Cretaceous geophysicist Joseph Kirchwink and neuroscientist Shin Shimoyo have launched a new study focusing exclusively on the study of brainwaves. The fact we see in response to simple magnetic rotations as we experience when turning or shaking our head is powerful evidence of human magnetoreception. It's not quite the super-bending force of the X-Men villain Magneto, but human beings seem to have hidden magnetic power in our brains. "They did not react to unnatural directions of the magnetic field – for example when pointing up". For decades, researchers have tested the ability of humans to detect magnetic fields with conflicting results. The geomagnetic sense is well studied by the scientist, because it is noticed in migratory animals like birds and sea turtles. This tendency can also occur in humans, which can explain why previous efforts to detect magnetoreception have disappeared – by strengthening the magnetic field to enable subjects to be clearly detected, the practice will only provide the brain to ignore the subjects. In the future, researchers plan to study the biophysics of the process in detail. "As for the next step, we should try to bring this into a conscious awareness." Their study was published by the magazine eNeuro on March 18.